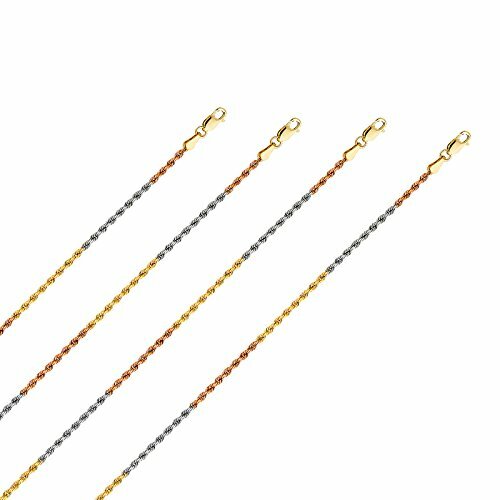 14k Yellow/White/Rose Gold 2 mm Solid Rope Diamond Cut Chain with Lobster Clasp (24 Inches) by Top Gold & Diamond Jewelry at Blood of The Young. MPN: TGDJ-CH391-24. Hurry! Limited time offer. Offer valid only while supplies last.